Because the manufacturing process involved with rubber injected molding is precise, it is imperative that you hire the right company. When conducting research in your quest to find the best rubber injection molding company, consider the five facts listed below. Standard Versus Customized – Top-rated manufacturers provide similar services, meaning they create the same type of finished products. However, not all manufacturers are capable of customizing orders. 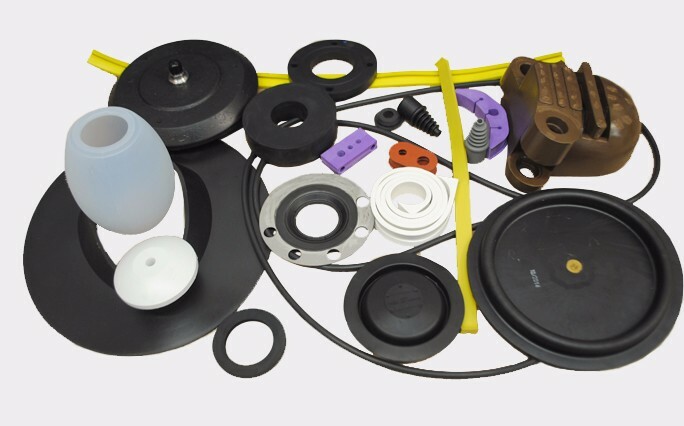 Therefore, if you need unique finished parts or components, be sure to look for reputable custom rubber manufacturers. These companies use cutting-edge machines and possess incredible skill required for one-off products. Machines – As you look around at different manufacturers, you will also discover they use different machinery. For a precise finished product, you want to work with a company that uses the latest and greatest rubber injection molding machine. That coupled with unparalleled expertise provides you with the assurance needed to ensure that your product will meet, if not exceed, your expectations. Automation – Automation is another factor to consider. For high rates of production, automation of the rubber injection molding process is essential. As a result, the manufacturing company can mass produce parts safely and efficiently at a competitive price. Capabilities – If you need highly detailed or intricately designed parts or components, make sure the manufacturing company is capable of delivering your finished product. For instance, consider working with a company that has an in-house engineering design team. The team can formulate a plan for manufacturing a precision part or component using your concept and specifications. The best manufacturing company will also stay current on new technologies and processes, thereby ensuring the customer’s satisfaction. Materials – If you need to achieve desired material properties in your finished product, you want a manufacturing company that uses a variety of materials in the injection molding process. Known as co-injection molding, the manufacturer uses two or more materials that not only create unique properties but also reduce the amount of waste. For superior rubber injection molding, you can always count on the experts at RPM Industries. We offer years of experience in the manufacturing of both standard and custom products. We take pride in the quality of services we offer and would love the opportunity to assist with your needs. Call us today to speak with a team member or visit our website to learn more about our services.